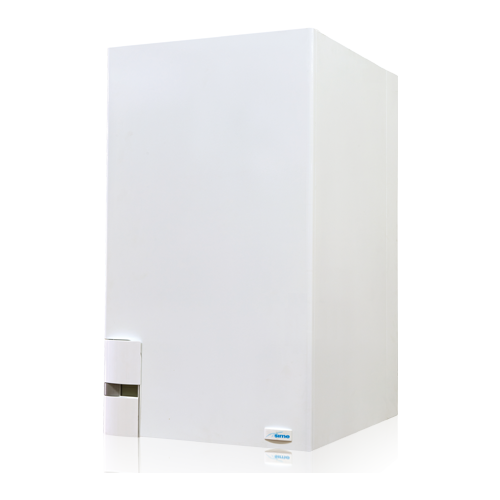 The Murelle HE R ErP range are high-powered wall-hung condensing boilers. Designed for multi-dwelling, commercial applications, they can be used as independent units or in combination with an intelligent cascade system of up to eight boilers, producing outputs from 33kW to 880kW. These are wall-hung pre-mix condensing gas boilers with stainless steel coil heat exchangers. All boilers are equipped with ErP compliant modulating pumps and integrated weather compensation (optional outdoor sensor). There is also a simplified management system when used with heat pump and solar thermal systems.